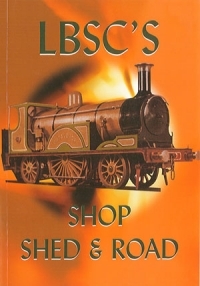 This famous book first appeared in 1929 and established LBSC in the forefront of miniature steam locomotive designs for all time. It was later reprinted under the title of a "The Live Steam Book". It then reappeared again as "Shop, Shed and Road" with added chapters from "Curly's" later writings, with the diagrams completely redrawn and with a new set of plates illustrating most of the locomotives that he built over the years. It is a complete course in locomotive building and this latest reprint, some 75 years after it was first published is, in a way, a tribute to a great and much-respected designer.